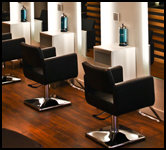 mousse salon is located at the heart of Kitsilano. 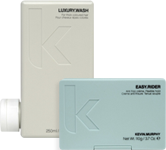 Find us on West 4th, near Trafalgar St.
KEVIN.MURPHY is a fashion focused range of salon only, professional, hair care products that was conceived in the world of session styling. The range includes shampoos, conditioners, treatments and styling products, which have all been designed for specific hair types. Whatever your hair's texture, you'll find the products that will make your hair look like you've just stepped off the catwalk. Geisha Ink Ultra Volume Mascara is a water-proof, clump and smudge-free formula which can help increase lashes up to 3X its original volume. 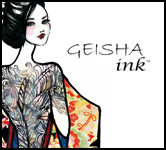 Geisha Ink Liquid Eyeliner is a 24 Hour water and smudge-proof formula that delivers effortless and precise application with its revolutionary microfiber brush tip. This quick-drying formula helps create subtle to dramatic looks. 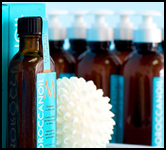 MOROCCANOIL has created a revolutionary line of styling, finishing and conditioning products for hair that will guarantee an enhanced result. Hair will look and feel healthier after just one application. We include our signature argan oil in all out products. A remarkable gift from nature found growing only in Southwest Morocco, it is a powerful antioxidant, UV protector and free radical neutralizer, rich in vitamins that strengthen hair and increase hair's elasticity. 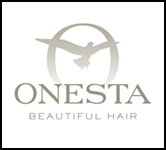 Onesta's natural, plant-based formulas are free of parabens, sodium lauryl sulfate, sodium laureth sulfate, propylene glycol, DEA, TEA, colors, dyes, animal testing, and animal ingredients. Discover just how great your hair can look and feel using pure, natural hair care products rich in antioxidants and certified organic botanical extracts to revitalize, nurture, and protect your hair. Many men and women are now choosing the TRIOXINATOR as the best solution for their aesthetic hair loss problems. We are committed to educating and improving the lives of all those affected by aesthetic hair loss due to male/female pattern baldness and we need you to help us. 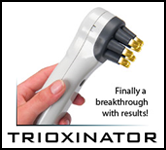 The TRIOXINATOR provides a non-medical self-help treatment for men and woman who wish to reduce the signs of hair loss, improve body image and enhance their overall sense of self-esteem.